I’ve trained people ranging from single freelancers to inhouse design teams at Edinburgh University in building professional websites using modern web standards. With 12+ years of commercial web design experience, I’ve built websites for clients including the NHS and international businesses, and am passionate about sharing my knowledge with others who are willing to learn. There is plenty of material online to learn web design for yourself, but this training course can help accelerate your knowledge of website design in just a few days by learning hands-on. Thank you very much for the training. Well-crafted and delivered in a fashion where we could all understand. Using Sass – a CSS preprocessor, which can make your life writing CSS a lot, lot easier! * Denotes modules which require a little more technical knowledge than the others. Also, the venue was excellent, nice and quiet, and it was great that all the software and internet connections worked so smoothly. Parking arrangements were fine and the venue is very easy to get to. I assume very little knowledge for delegates; we start from the ground up to make sure you have an understanding of the fundamentals of website design. So, don’t worry if you don’t know anything (yet!) – but being technically capable of using and text editors on your chosen laptop would be handy. Want to learn web design? My introduction to web design training courses are for you! Learn from web designer with 12+ years commercial experience. Are you a graphic designer who wants to branch out and build websites for your clients? Are you an inhouse web designer who wants to improve your skills? The training course is well structured and informal. Whilst there is content is provided on slides, delegates are given tasks throughout the sessions in a “learn by doing” manner, which has been tried and tested on many previous cohorts of budding web designers. Delegates will need to bring a laptop to participate in the learning exercises throughout the training course. 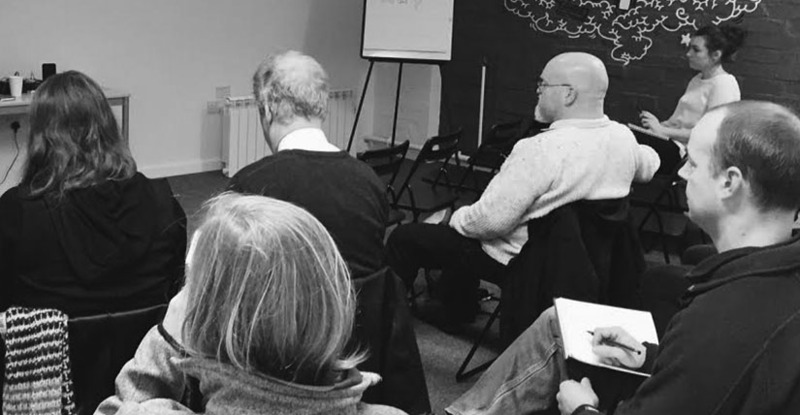 I can run the training course either in a dedicated room at my offices on Gateshead quayside (just across the river from Newcastle upon Tyne, in the North East of England), or at your chosen premises in the UK. I can recommend training spaces in most major UK cities; we’ll need a reasonable wifi connection, and a larger projector is ideal too. If you would like to book an Introduction to web design training course, please contact me via hello@peacockcarter.com. Please note: training courses are not currently available as public sessions, and are booked for either direct one-on-one tuition, or tuition of a group within a single organisation.